The annual Runeberg prize for literature has been awarded to a poetry collection. 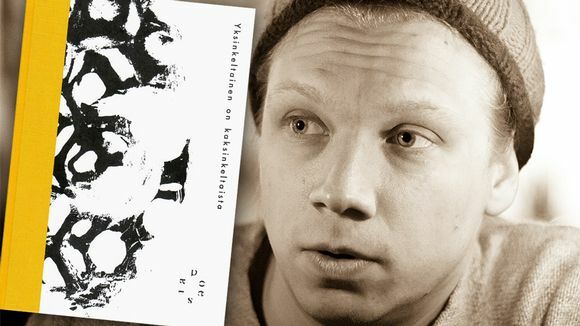 Out of eight nominated works including novels, poetry and essay collections, the 10,000 euro prize went to Olli-Pekka Tennilä’s 'Yksinkeltainen on kaksinkeltainen' poetry book. This is only the third time that a poetry book has won the prestigious literature award, which has been given out since 1987. The winning work was selected by a panel including writer Tommi Melender, theatrical director Dan Henriksson and researcher-critic Siru Kainulainen. The panel praised Tennilä's expression, saying it takes physical hold of the reader. The poet from Jyväskylä was surprised at taking the top honour, as it was so rarely rewarded to poetry. The prize is named after the national poet Johan Ludvig Runeberg and presented on his birthday, February 5.